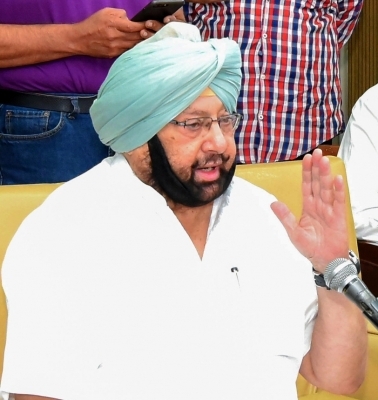 Chandigarh, Dec 7 (IANS) Under the Punjab government's farmers' debt relief scheme, Chief Minister Amarinder Singh on Friday gave debt relief against commercial bank loans to the tune of Rs 1,771 crore to 109,730 eligible marginal farmers of four districts. The Chief Minister announced the extension of the waiver scheme to farmers with landholding of 2.5 to 5 acres. "The amount is being transferred directly to the accounts of the marginal farmers of commercial banks directly and the process will be completed by tomorrow," the Chief Minister told a function in Baran village in Patiala district, around 70 km from here. The farmers covered in this phase of debt relief scheme belong to Patiala, Ludhiana, Sangrur and Fatehgarh Sahib districts. Addressing the function, the Chief Minister said that in the next phase, farmers having landholding of 2.5 to 5 acres would get debt waiver for loans of cooperative and commercial banks. Amarinder Singh also reiterated his commitment to waive off the loans of the landless labourers in the subsequent phases of the implementation of the waiver scheme. The Chief Minister said waiver up to Rs 2 lakh had been given to all the marginal farmers and also to the small farmers who had availed loan up to Rs 2 lakh under the scheme. He said a sum of Rs 1,815 crore of 3.18 lakh marginal farmers of Cooperative Banks had been waived off in the first phase, in addition to Rs 1,771 crore of 1.09 lakh marginal farmers of commercial banks in Friday's state-level debt relief function. The Chief Minister announced that 2.15 lakh small farmers of Cooperative Banks would be covered in the third phase and 50,752 small farmers of commercial banks would be covered in the fourth phase. It is estimated that farmers in agrarian Punjab are under a debt of Rs 90,000 crore.